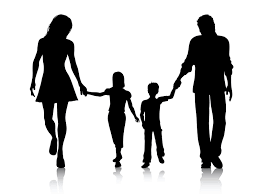 The future of humanity passes through marriage and the family. So proclaimed Pope John Paul II. When traditional marriage and family is threatened, damaged, and destroyed, so is humanity’s future. Many have written recently about the severe decline in birth rates that will soon cause a global crisis. Today the Baby Boomer generation is moving into their senior years. Born in the post WWII boom, they comprise a significant percentage of the U.S. population. They will require massive care as they age. Where will that care come from? And with increased longevity, they will require such care farther into the future. Since the second world war, we have lauded individual autonomy. In our pursuit of happiness we find we may have taken a wrong turn, have embraced self and mocked the authority of tradition, faith, and family to our peril. We have redefined and weakened traditional marriage through no-fault divorce, as we no longer recognize producing and nurturing the next generation as the primary goal of marriage. Birth control began the winnowing, and abortion killed the others who were unwanted. Children, as well as the elderly, have become inconvenient in their demand sacrifice of time and money. As we have sought our own way and individual happiness, we have been inevitably destroying the family and thus the future of humanity. The world is soon to face a critical shortage of workers. It is ironic or perhaps an obvious result, that my generation of Boomers who failed to provide a substantial next generation, will now have fewer to care for them as they age. In addition, we have not produced the next work force that will manufacture goods, the next police force that will ensure the peace, the next military force that will defend our borders. For a sneak preview, read P. D. James’ dystopian novel, The Children of Men. I’ve counted at least five trends that will probably coalesce in the next few decades: a worldwide (and massive) graying population, the destruction of the extended family that cares for the aged, the absence of a younger generation that will care for the aged (due to population decline), the increased longevity of the aged, and the culture of self over a culture of self-sacrifice. We’ve been warned about the population deficit, that we will not have the numbers to support our economy or defend our borders. But it may come home sooner than that, as we age and become abandoned by our own society. Some of us have family. Some do not. Digging into the deeper and better part of our human nature, we want to care for both groups. It is no surprise that with a national health care system that is economically unviable, assisted suicide is encouraged. What committee will decide who lives and who dies? What pressures will be felt by seniors to end their lives for the convenience of their loved ones? What happens to the mind (and heart and soul) of the physician who has journeyed down that path… one that no longer supports life. And should those in the medical industry who support life be forced to defend themselves? In the end, I suppose, we do reap (as a world, a nation, a family, an individual) what we sow. If John Paul II is right, and the future of humanity is indeed passed on through the family, we are in trouble. As marriage and the family dies, so does humanity. And as the family weakens, the wisdom and culture of the past is not passed on. We are left bankrupt not only in terms of matters of defense at home and abroad, matters of health care. We are left without the moral compass of over two thousand years of Judeo-Christian ethos. Let us renew life. Let us fight for every unborn child. Let us revere and care for our aged as long as we can. Ancient societies understood this and so should we if it is not too late. Let us support marriage and family life whenever and wherever we can. This entry was posted in Uncategorized and tagged abortion, aging, baby boomers, children, euthanasia, Faith, family, future, healthcare, life, Marriage, population, self, seniors, tradition, unborn. Bookmark the permalink.